If you are looking for certified reusable bags, direct from the manufacturer for the lowest possible price, here’s how it is done even if your marketing or retail needs do not do not require 50,000 bags. 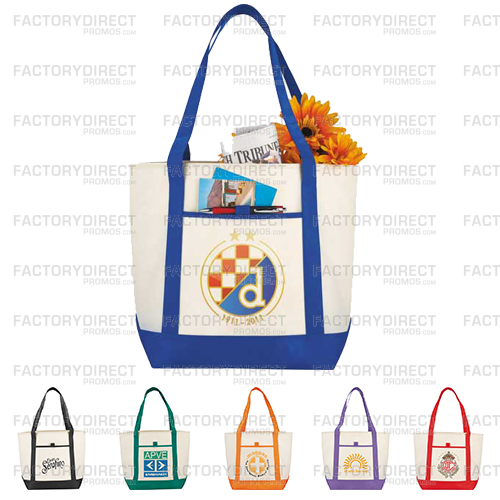 We specialize in manufacturing branded, certified reusable bags built to your specifications and we pride ourselves on quality products designed for dependable use for many years of return on your marketing dollar. There are two ways we sell our certified reusable bags. You can choose from our in stock selection or directly from our factory overseas. Our in stock bags are simply popular styles of bags we had made up ahead of time. The main advantage of ordering through our in stock offerings is the extremely quick turnaround. You just need to select the bag style and color along with the imprint color and you can have your finished reusable bags in about 2 weeks. The price per unit is typically slightly higher when ordering from our in stock selection; however, the turnaround is incredibly quick so if you’re pressed for time, this is the option for you. If you have the luxury of time or you want to design your own certified reusable bag, consider ordering direct from our overseas factory. The perk of ordering from our factory is that you can completely design your bag and you know you are getting the lowest possible pricing. You can select the materials, size, handles, add pockets or zippers, choose the colors – just about anything you can dream up we can do, seriously. Or maybe you really like the look or design or one of our in stock bags, but you just want to make a minor change, we can do that for you as well. When you work directly with our factory, you can have your certified reusable bags made to order. The fine print of working with our overseas factory is the 60 – 90 day turnaround. How busy our factory is and the level of customization you’ve chosen for your branded bag factor into how long production will take. Just know that we always work to get orders to our clients as quickly as possible. In fact, you can sometimes find our fearless leader Beth on the phone in the middle of the night talking to our friends at our factory in China, working to get orders to our clients as soon as possible. Another major perk of working with our factory is the price. In many instances, certified reusable bags directly from our factory will cost less than $1 per bag. The key to buying certified reusable bags directly from the manufacturer is working with us if you haven’t noticed. We believe in our brand because of so many reasons other than price. Our quality is outstanding and something to be proud of and again, quality matters when you are investing in a marketing piece that could work for your brand for 3-5 years. Reach out and get started HERE! Previous Previous post: Good News on Bag Bans in The US…Except Arizona. What Happened There?